Whenever we hear about debt it is almost always talked about in a negative way. 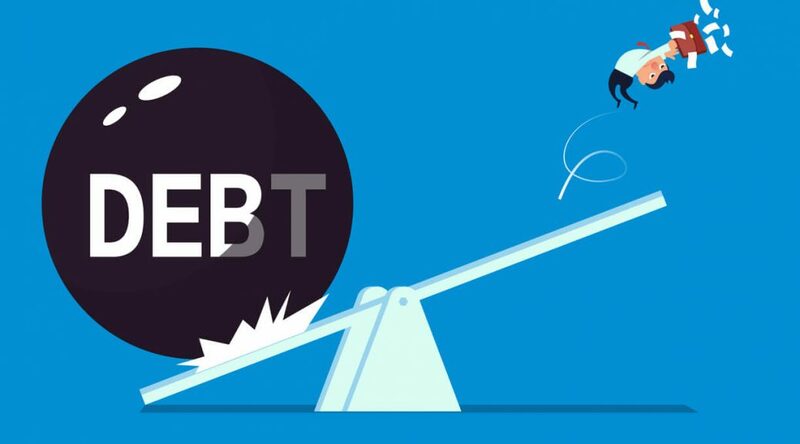 Bad debt is something that we have become accustomed to understanding in the modern world, but should we be looking at debt in a different way? As with anything in life there is no such thing as purely bad debt, or purely good debt, instead there are examples of both and a way in which we as humans interact with debt and learn to cope and move forward with it. In reality, debt is only good or bad depending on how a specific person deals with that debt. With a good attitude, the means to repay what has been borrowed, and a proactive approach to paying down debt, it can be a good thing and improve your credit rating at the same time. There are however, certain types of debt that are naturally seen to be more good than bad. Your ability and interaction with that debt will then accentuate whether it is a good or bad debt. Here, we look at a few examples of good debt. One good debt that is often overlooked is that of a short-term payday loan. The payday loans of the past were inherently difficult beasts to control. They were often accused of hiding fees and having high interest rates that made it difficult for borrowers to pay out of in a reasonable amount of time. Things have changes however, and a new breed of responsible payday loan lenders have given a new image to the industry. Now, borrowers can take advantage of bad credit loans, but will only be accepted should they demonstrate they have the means to pay back the money borrowed. Payday loan companies are now also completely transparent, with no hidden fees and interest rates that are explainable from day one. A borrower knows exactly what they are expected to pay back and when prior to signing up to an agreement on a short-term loan. Another type of debt that is seen as a positive is that of a mortgage. It is rare that a person is able to buy a house in cash, with a mortgage the debt needed to purchase the house with a loan from the bank. Most mortgages can be acquired at a reasonable rate, with good fixed-rate mortgages available for a period of time from most lenders. By taking on debt in the form of a mortgage you are gaining steps towards owning the property outright and taking advantage of its building equity. In other circumstances, taking out a loan might be bad in some cases but good in others. For example, taking out a large loan to purchase a car might be extravagant and mean you are overstretching your finances and getting into greater financial difficulty, but if you take out a loan for a car that allows you to take on a new job with a greater wage, you are creating a future opportunity that outweighs the negatives of taking on more debt. It is always about a balancing act with any sort of debt. Can you personally afford to take on more debt, and what will it be used for?